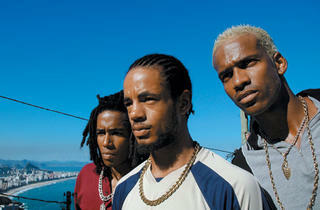 A companion piece to Fernando Meirelles’s souped-up (and lapped-up) 2002 urban crime drama, City of God, Paulo Morelli’s City of Men replaces that film’s hypnotic sadokineticism with something equally, if more quietly, audacious. By accentuating the humor and humanity of people stuck in desperate circumstances instead of fetishizing the violence that surrounds them, City of Men serves as a belated corrective to its predecessor. 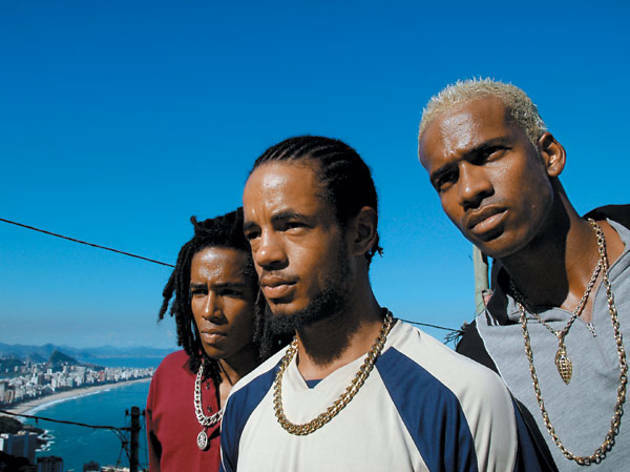 The follow-up concerns two young Rio favela dwellers, best friends Ace and Wallace (Silva and Cunha, both nonprofessional actors who also appeared in Meirelles’s film), coping with a drug-gang turf war that forces them to reconcile with the past and accept incipient adulthood. A rift develops between them when Wallace finds his long-absent father and Ace begins taking more comfort in the thug life than with his wife (Monteiro) and son. Meanwhile, the gang leaders (Jonathan Haagensen and Eduardo BR) pursue what amounts to a deadly, futile game of king of the hill that produces no real victor. This wry reductionism gives City of Men a moral edge over the gunplay-besotted posturing of the previous film, despite the fact that Morelli occasionally succumbs to earnestness and sentimentality, and loses narrative focus in the final act.